The strongest of the A4s. Those people who don't follow the precise anatomy of Audi models could well be in for a surprise when they closely examine a 3-litre A4. 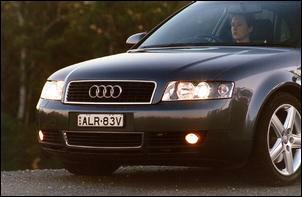 Firstly, over the years the A4 has grown ever bigger and heavier. The model series may well have started with the compact 80 and 90, but the upshot is at 1460kg and with 162kW, this $80,500 car is no longer a petite in the range. And neither is it necessarily all-wheel drive. 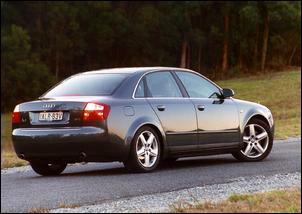 While the 3-litre A4 is available in both four wheel drive and front wheel drive, on test was the driveline configuration that merely pulls you along. Significantly, the engine remains mounted longitudinally - the V6 stuck out well in forward of the front axle line. So there's another surprise - throw in the forward weight bias, front-wheel drive, strong power and Audi's philosophy of keeping the rear of the car nailed to the road whatever is done with the throttle, and the A4 is a determined understeerer. Which wouldn't matter much if this were a car with a cushy, luxurious persona. But it isn't. 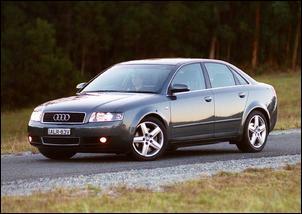 The suspension is firm - very firm - and on typical Australian bumpy secondary roads it can be quite uncomfortable. The seats are hard and after you've done a hundred kays across bad roads, you can be left feeling disappointed and puzzled. But get back onto the freeway and all is again fine, with the Continuously Variable Transmission (CVT) responding wonderfully well to minor throttle variations. What's that? A CVT? The A4 3-litre is dominated by its driveline. 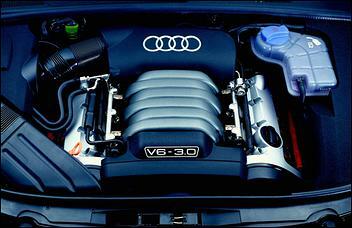 It uses one of the most advanced quad-cam V6 engines in production, featuring a mind-boggling list of technologies. There are five valves working away in each cylinder, the intake camshafts are continuously variable and the exhaust cams step-adjustable, the intake manifold is two-stage, a balance shaft is fitted, and the engine runs electronic throttle control. A very long-stroke design (B & S is 82.5 x 92.8mm), it develops a maximum torque output of 290Nm at only 3000 rpm, with that 162kW peak power coming at 6300 rpm. Comp ratio is 10.5:1 and premium unleaded is always required. So with all of that technology, how good is the engine? Making a driving analysis of the V6 is difficult because the CVT does such an effective job of masking how many Newton-metres are available at any throttle position. From inside the cabin the Multitronic trans looks quite conventional - there's a normal auto-trans style lever, complete with Tiptronic option. Six-speeds in the manual mode? Well, auto transmissions are getting more complex... But it's when you put your foot down that you realise here is something w-a-y different. Rather than wind up through the rev range, change gear and have the revs fall, this auto holds engine revs at the same level and continuously changes its gearing to accelerate the car! So, nail the pedal and the engine roars up to 5000 rpm, holding it constantly as the car accelerates through 40, 60, 80, 100, 120 km/h. Keep your foot down hard and the revs will then move up to just shy of the redline, staying there as the A4 goes faster and faster. It's disconcerting, feeling to the uninitiated like massive torque converter slip. Aural cues out of the window, you can tell how fast you're going only by literally looking at the speedo or the blur of scenery. Not that revs skyrocket each time you ask for some acceleration. In fact, how many revs you get seems almost completely dependent on throttle position: put your foot down to - say - the halfway position and you'll probably have 3000 rpm to get you along. Just brush the throttle and revs might rise to 1500. And it's at light throttles where the trans is simply magnificent - able to maintain speed up and down hills, be responsive, unfussed and discreet in a way simply unachievable by an auto with a finite number of ratios. The software mapping is also excellent - brake for a suburban corner, turn-in and then get back onto the power and there's not the slightest hesitation as the trans - already in the right ratio - smoothly accelerates the car way. Driving hard on the open road the Multitronic is less endearing - but then it's simply a case of electing for the Tiptronic option where with six ratios to play with (technically, the engineers could have made available whatever number they wished!). With what feels like very tricky electronic throttle rev-matching on down-changes, the trans in manual mode is matchless. So is the combination of a very sophisticated engine and a breakthrough trans beyond criticism? Nearly - but not quite. The operation of the CVT and noise suppression that at times is surprisingly poor means that during acceleration, the engine can be heard much more clearly than normal in this class, while at idle the V6 can be discernibly lumpy. However, with performance that includes a 0-100 claim of 6.9 seconds (we'd suggest at least half a second slower is more achievable) and fuel consumption on the AS2877 government test cycle better than the manual trans model (and with a very good on-test 11.3 litres/100 km), the driveline is very successful. Inside the cabin it's a much more mixed bag. The all-black interior of the test car and its high waistline made for a slightly claustrophobic, closed-in feel - even with the standard sunroof's shade pulled back. Some of the controls are now very old fashioned (didn't we see that climate control system way back in the Audi V8?) and the 32-odd square buttons of a similar size that are scattered over the audio and climate control systems don't make for an ergonomic delight. And as we've complained about previously in other Audi models, a speedo that uses large number increments that alter (50, 70, 100, 140...) on the sweep around the dial doesn't make for quick reading, while red instrument lighting is distracting when red instrument panel lights normally mean danger. On the up-side there are six airbags, and the cabin is also well equipped with excellent cruise control, electric seats, auto-dimming central rear vision mirror, reversing proximity system, a first aid kit in the rear armrest, and a very good quality in-dash CD-stacker sound system that also uses a subwoofer in the rear deck. Get into the back seat and the car's external dimensions seem to lie: kneeroom is especially tight but there's not a helluva lot of room in any direction. But the boot is large - though access through the small lid opening is tight - and the backseat folds down on a 60/40 split. 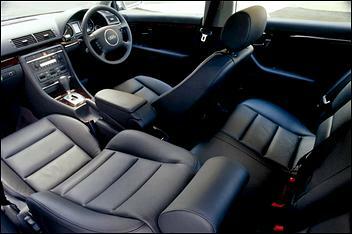 Good design means that the seatbelt-tangling annoyance often experienced in other cars is not an Audi occurrence. Under the bootlid is a warning triangle, and under the floor you'll find a full-size spare wheel - and that's some doing, considering the massive 235/45 tyre size. The Michelin Pilots hold flowing roads very well, the car feeling poised and competent. But as the corners get tighter the Audi is disappointingly aberrant. Despite having stability control, understeer can become quite strong. The stability control never actually feels as if it is braking wheels individually - instead, it behaves much more like a traditional traction control. 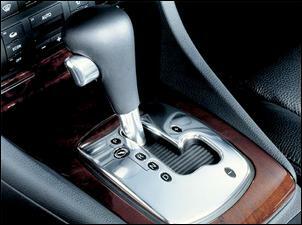 Together with dreadfully wooden steering, you're left with a choice - power-on understeer or less-power neutral. Which is safe, predictable, and can be quite quick. But for a driver who wants to enjoy any subtleties of control, not much fun. 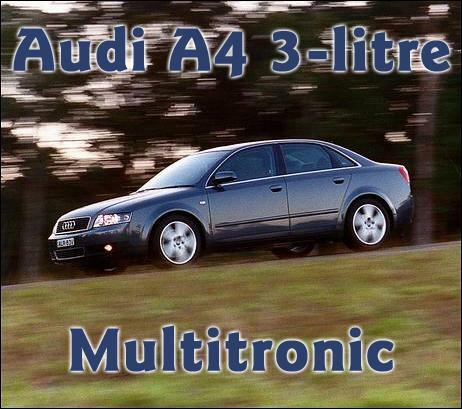 The 3-litre A4 Multitronic is a car looking for a very specific buyer profile. Someone wanting an out-and-out sports machine will select the Quattro version of the A4 3-litre (and incidentally, in doing so lose the option of the Multitronic CVT). So given it will be the less sporting buyers who select the front-wheel drive version, surely they'd be happier with a less hard-edged suspension and tyre combination, one where ride comfort is a little more assured? 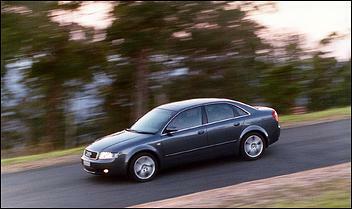 To enjoy the 3-litre A4 Multitronic, buyers will need to be unconcerned by the hard ride, press-on understeer and compact interior; delighted by the sophisticated engine and gearbox; and gratified by the good equipment level and safety. 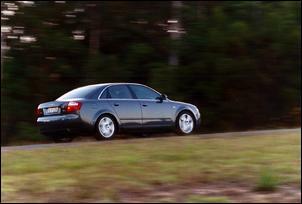 The Audi A4 was supplied to AutoSpeed for this test courtesy of Audi.